Roses are a landscaping staple, found in gardens and flowerbeds around the world. Known for their classic beauty, they come in every color imaginable and have an array of intoxicating scents. Hundreds of varieties to choose from means you can easily customize your selection to create a unique rose garden. They are fairly easy to grow, but like all plants they have basic requirements. 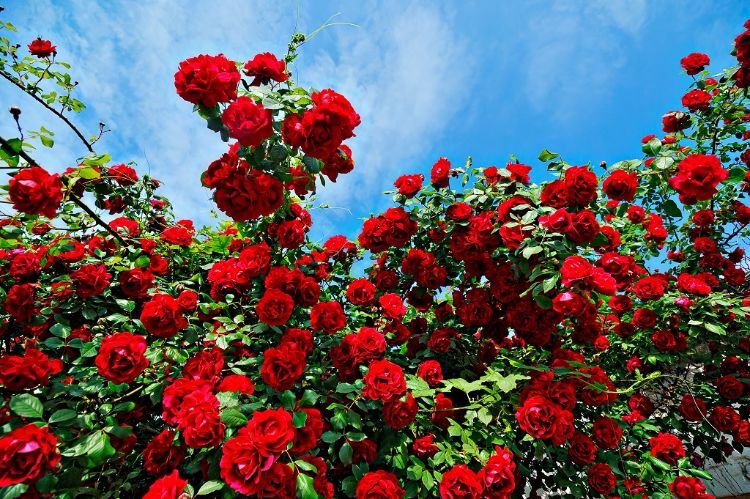 These seven tips will help you grow a gorgeous, strong garden of rose bushes. Roses are typically sold as bare root plants or in potted containers. Bare root plants are dormant when they are sold and can be planted between mid-April and mid-May. Look for plants that have not broken dormancy and started to grow. 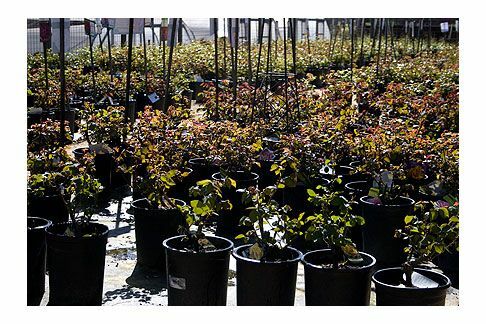 Potted roses need warmer weather outside and should be planted after mid-May. 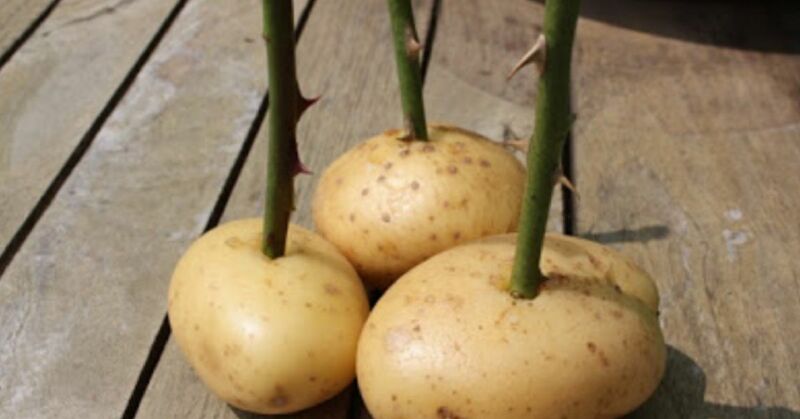 If you have an established rose garden, you can take cuttings from the plants and propagate them using the potato method described in Amateur Gardening. 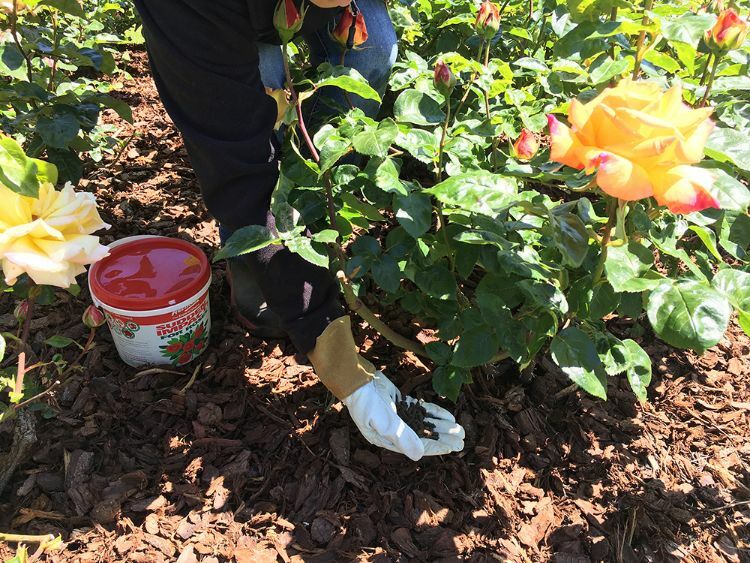 Look for a planting spot in the yard away from large trees or shrubs so roses doesn't need to compete for water and nutrients A sandy loam soil is best with a pH between 6.5 and 6.8. 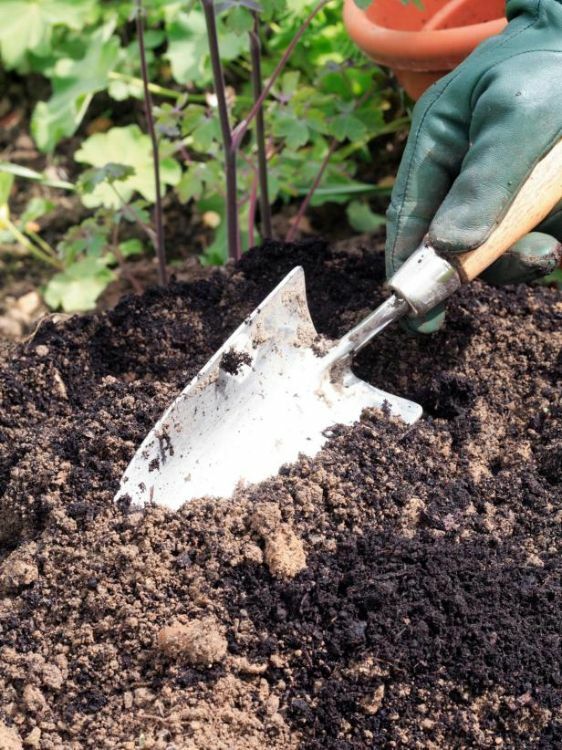 Prepare the soil well before planting by mixing in a substantial amount of organic material such as compost, rotted manure or peat. Most roses are full sun plants, requiring five to six hours of sunlight during the day for optimum growth. A full-sun location will also help to reduce the incidence of pests as they tend to prefer shady spots. If possible, choose a planting spot that receives morning sunlight to dry off the plant leaves early in the day, reducing fungal growth. Apply two to three inches of mulch around the base of roses toward the end of May when the soil gets warmer. Mulch will help to keep weeds down, retain soil moisture and keep the soil cooler over the roots. 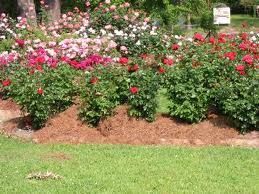 Roses will tolerate a variety of mulches: compost, leaves, bark chips, peat moss, pine needles and straw. Be careful with lawn clippings as the lawn is often treated with weed killer and could adversely affect the rose bushes. To produce their well-known, beautiful blooms, roses require a fair amount of fertilizer during the growing season. If a rose does not have adequate nutrition it will be more susceptible to diseases and pests. Choose a granular or liquid fertilizer made for roses or flowering plants and apply per the package recommendations. Liquid fertilizers will need to be applied more frequently than a granular product. Water fertilizer into the soil well to prevent burning the leaves of the plants. Heirloom Roses has an informative article on fertilizing if you need more information. 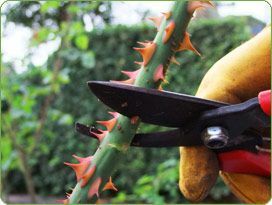 The best time to prune most rose bushes is after the first seasonal frost in the spring but before the plant breaks its dormancy. Basic pruning involves removing dead, diseased and damaged branches. Cuts should always be made with sharp pruners and cut on a slant. For most rose bushes it’s recommended to prune down the plant leaving only six to eight healthy canes. Consult online guides such as the University of Illinois Extension to determine the best pruning practices for your specific varieties or ask a local nursery for recommendations. 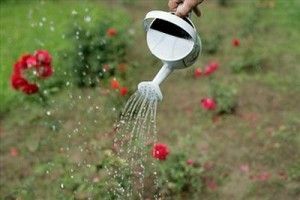 In addition to heavy fertilizer, roses also need a good amount of water to keep them growing strong and healthy. Water roses at least one inch per week, breaking it into two to three smaller applications. Plants might need more water if grown in sandy soil or if the climate is hot, dry and windy.